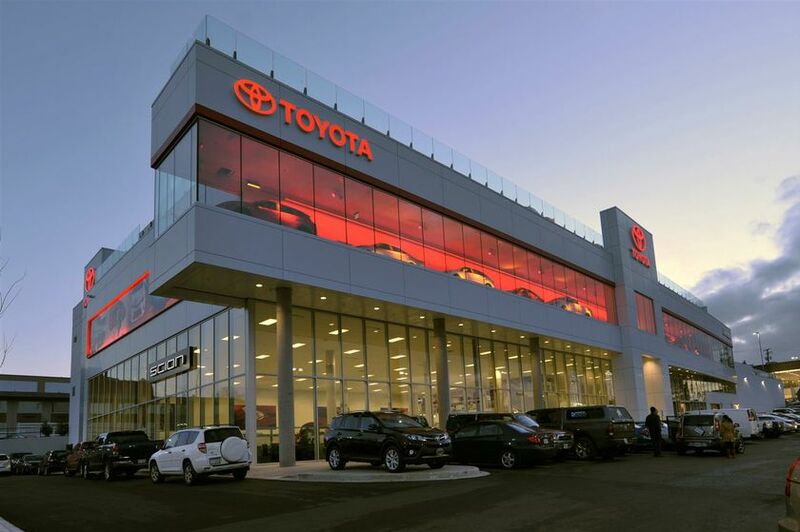 TORONTO, ON., (February 4, 2015) – Jim Pattison Toyota Victoria is moving just steps away from Mayfair Shopping Centre as a stand-alone operation located at 3050 Douglas Street, after previously being in a 41,000-square-foot dual Toyota-Lexus site on Finlayson Street. 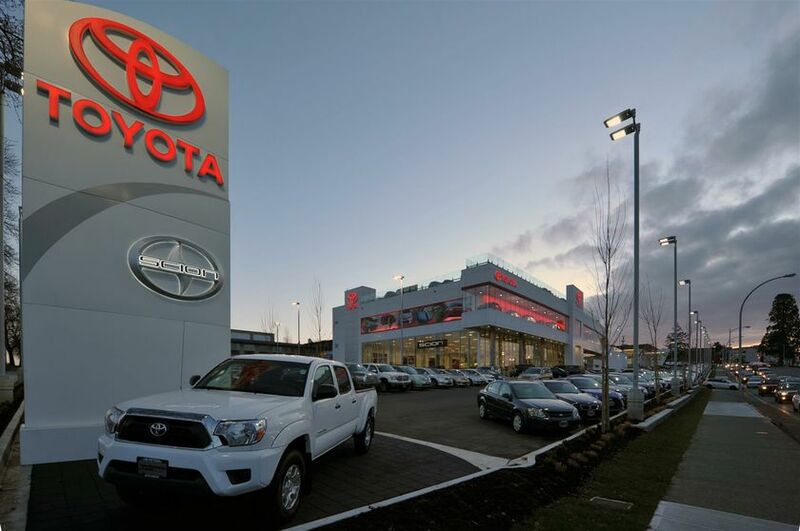 “The opening of this new facility will allow Jim Pattison Toyota Victoria to continue offering ever-better cars and trucks to the community in Victoria,” said Seiji Ichii, President and CEO, Toyota Canada Inc. 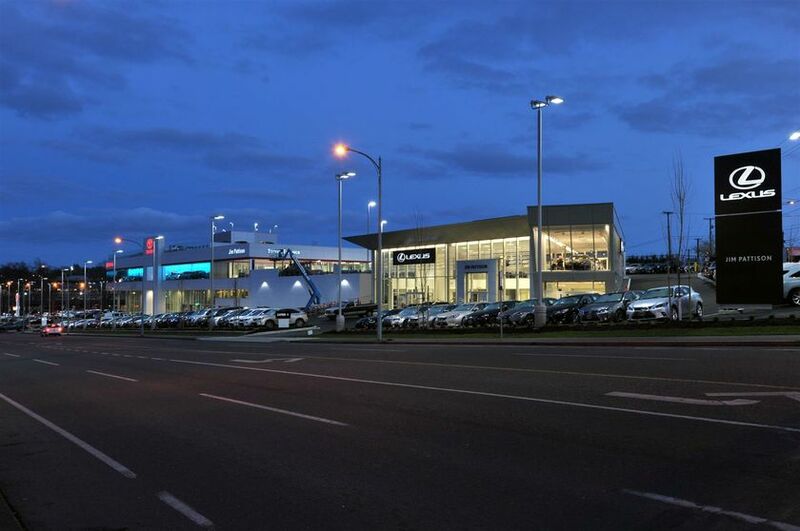 The dealership has moved across the street to a spectacular new four-storey facility that is among the largest Toyota dealerships in western Canada. At 68,400 square feet, the site also offers as many ultra-modern conveniences and amenities as its impressive size. A unique skyway display tube dazzles passersby with a nightly LED display featuring ten vehicles. 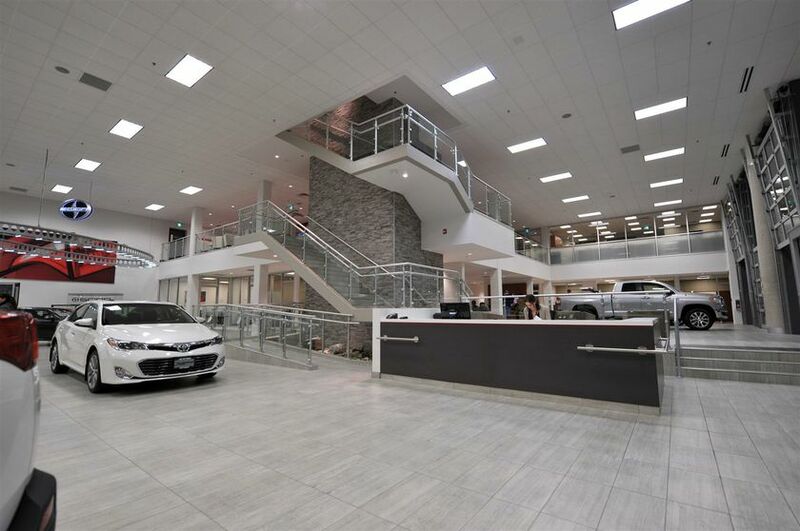 Once inside, guests can experience the largest Toyota showroom in British Columbia, showcasing 28 Toyota and Scion vehicles in a single showroom. 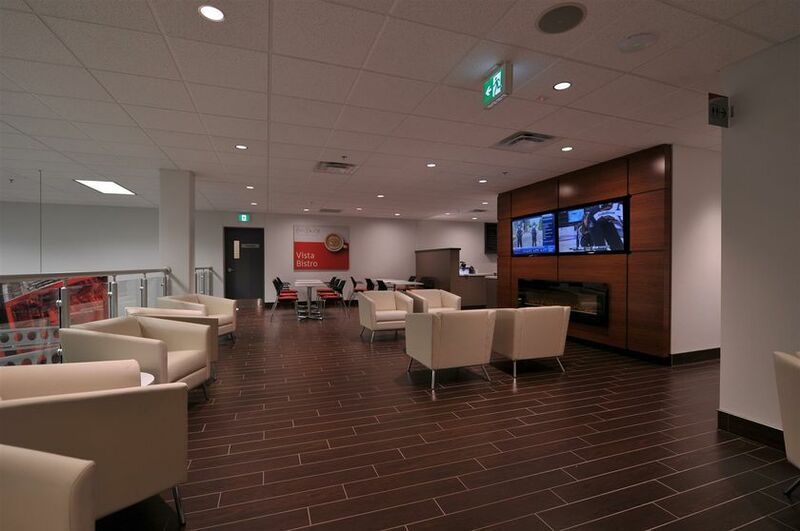 The main level also features a custom beverage centre, guest lounge, indoor vehicle delivery centre and custom wall art. A dedicated guest elevator connects the four levels, alongside a unique stairwell clad in drystack stone including native site boulders from excavation. 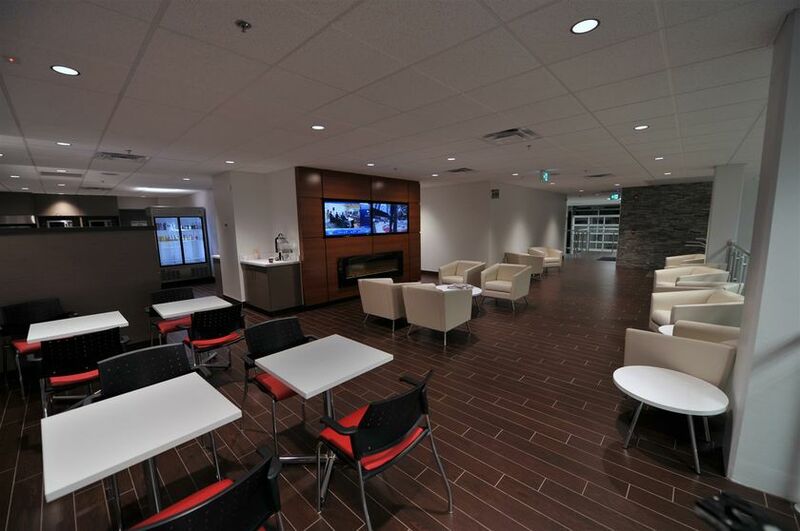 Level 2 is home to the Vista Bistro overlooking the main showroom, and a second guest lounge offering a twin large-screen television wall and fireplace. The multimedia conference boardroom is available for non-profit community bookings and use. 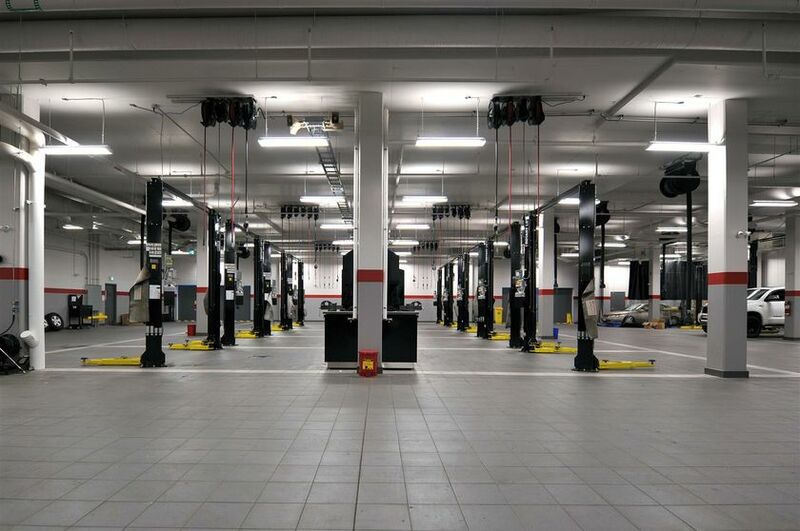 Level 3 boasts a fully enclosed indoor service drive thru, maximizing convenience to guests with a comprehensive parts boutique and an impressive 36 service bays in the building to shorten service times, including an express oil change service. Level 4 is the unique rooftop level. 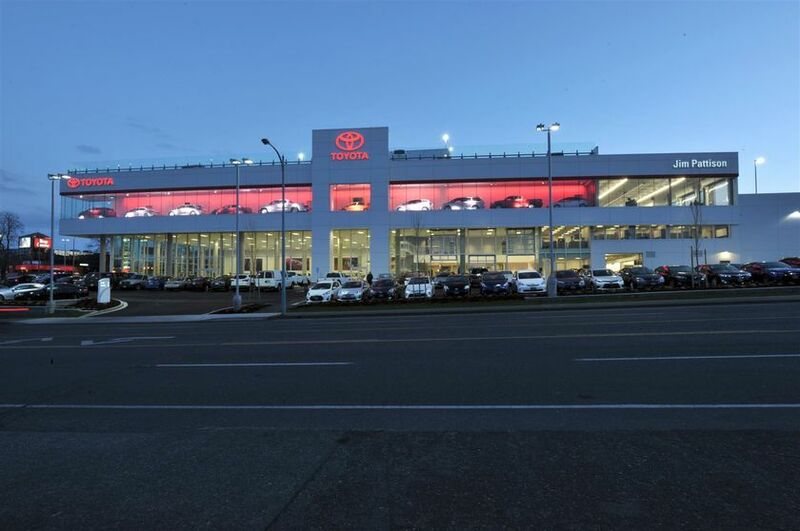 Jim Pattison Toyota Victoria is the only retailer on Vancouver Island to offer rooftop convenience, with 67 additional parking stalls, panoramic views and the option to host events in a plein-air Sky Lounge environment. There is also a roof-top automated car wash for the convenience of guests. 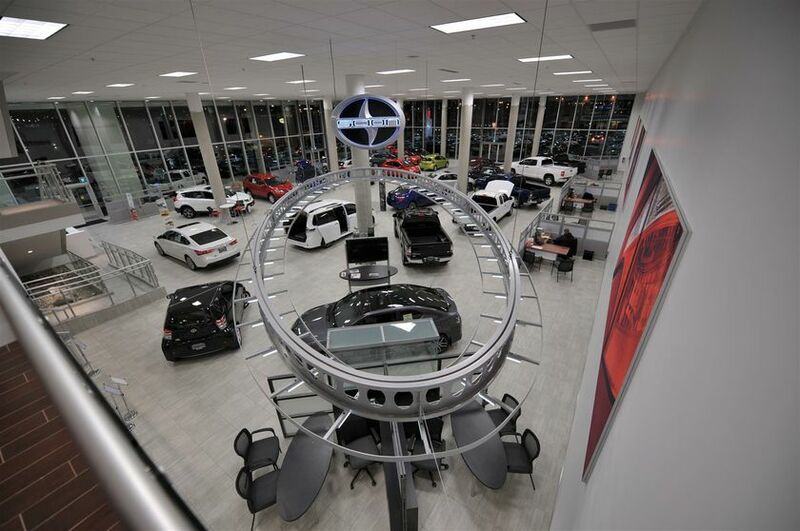 “We are thrilled to offer our loyal customers such an excellent new facility that is designed to give them the best experience possible,” said Jim Pattison, Dealer Principal.